When? Montali is open from mid-April to mid-October. While high summer in central Italy can get uncomfortably hot, the hotel sits on a hill and was made for lounging with 25 acres of grounds. Shade is never far away – perch yourself under a fig tree with a good book, dive into the pool, or flop in the hammock on the terrace. You really must… Take a walk down to Lake Trasimeno, the largest lake on the Italian peninsula, which takes about an hour each way. The winding dirt road reveals snapshots of this historic stretch of water from every turn, and you’ll be rewarded by even more stunning views once you reach the lake itself. For a day out, visit Perugia. The Umbrian capital is a charming hilltop city with a vibrant cultural life and plenty to admire. The Galleria Nazionale dell’Umbria (gallerianazionaleumbria.it) is rich with art treasures while the nearby Piazza IV Novembre has stunning 13th century reliefs and the peaceful Cattedrale di San Lorenzo. The Umbria Jazz Festival (11-20 July; umbriajazz.com) draws top performers, or indulge yourself at the Perugia Chocolate Festival (17-26 October; eurochocolate.com) which includes huge sculptures carved from blocks of the good stuff. 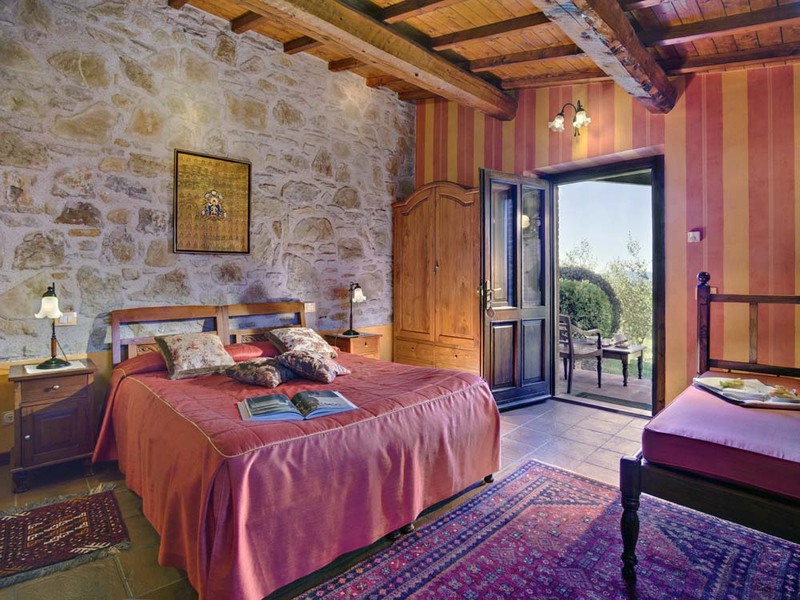 Stay at: Montali (montalionline.com) has nine rooms that are simple, comfortable and furnished with antiques. Each one has a private terrace. A night costs £97 per person based on two sharing, including breakfast and a four-course evening meal, with a minimum stay of three nights. 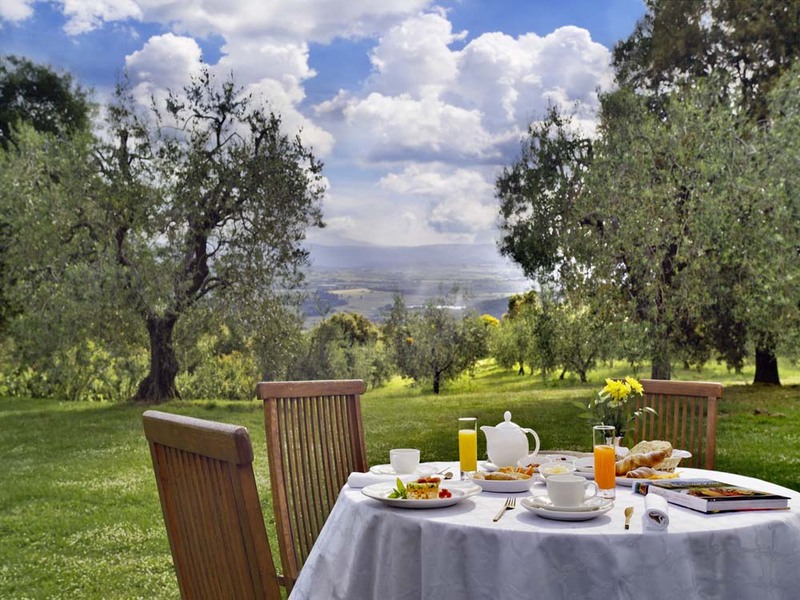 Dine at: You don’t have to be a veggie to enjoy Montali – if you love food, you’ll adore this place. There is no menu: dinner is served with a flourish at 8pm – after drinks on the terrace, naturalmente – when plates emerge from the kitchen to gasps of delight, followed by the familiar click of iPhones for Instagramming purposes, and soon after by muffled ‘mmmms’ and ‘aaaahs’ as everyone tucks in. Breakfast is no poor relation, either, with homemade croissants, breads and pastries served with jewel-like fruit, jams and compotes. Then comes the waffles, which are impossible to decline… Lunch can be taken at Montali, too, with salads and less-complicated fare available. And this is prime wine country – the local Colli del Trasimento and Grechetto (red and white respectively) are satisfyingly good and cost £6.50 for a half-litre carafe, plus there’s prosecco and fine wines to enjoy. 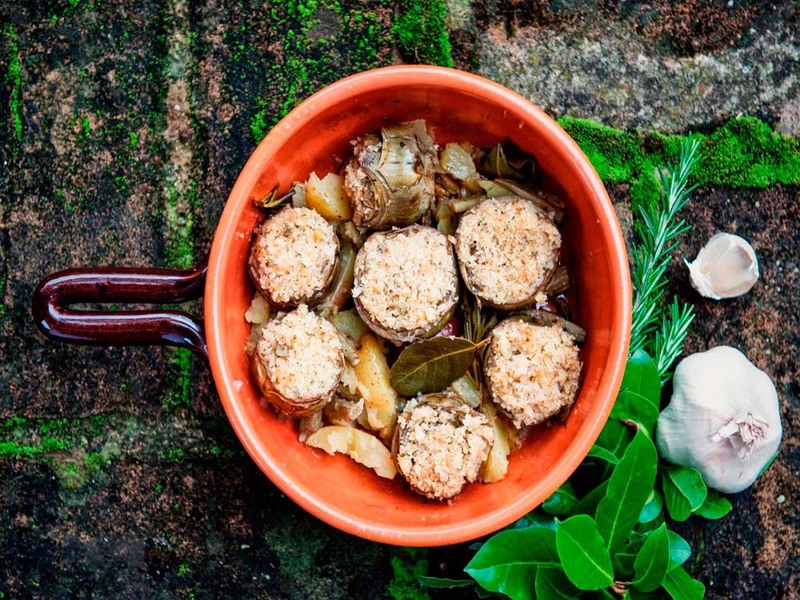 Bring home: Extra virgin olive oil from Montali’s 1,500 olive trees. Malù and Alberto have also produced two stunning cookbooks – The Vegeterranean and The Easy Vegeterranean, available at amazon.co.uk. Book now: Ryanair (ryanair.com) flies from London Stansted to Perugia, from £80 return. The drive from the airport to Montali, in Tavernelle di Panicale, takes 45 minutes. For car hire see carrentals.co.uk, or the hotel can arrange a transfer. Info: Tuscany & Umbria (£13.99; Rough Guides) covers the region, useful websites are turismo.comune.perugia.it and inperugia.com. Novels set in Umbria include William Trevor’s My House in Umbria and Barry Unsworth’s After Hannibal, both available from abebooks.co.uk.